This course is restricted to US military, law enforcement or corrections, non-law enforcement members of crisis negotiation teams, or mental health professionals or clergy members supporting law enforcement activities. 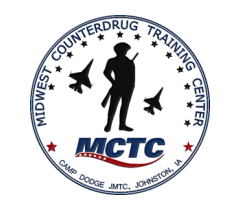 Requests for exceptions must be submitted and approved by the MCTC Director of Training. MCTCs Crisis/Hostage Negotiation Course (Level I/Basic) is a practical introductory course of instruction for newly assigned negotiators or negotiators having a five-years or more lapse in crisis negotiation training. The basic course is the first in a series of three progressive courses. The basic course meets or exceeds most state and federal training requirements for crisis/hostage negotiator certification and is trained in accordance with guidelines established by the National Council of Negotiation Associations. The Crisis/Hostage Negotiation Course (Level I/Basic) is designed to prepare law enforcement and corrections personnel to mitigate threats involving barricaded subjects, suicidal subjects, hostage takers, and others presenting behaviors associated with subject precipitated homicide or suicide-by-cop with special emphasis on the drug-affected subject and those suffering from mental illness or experiencing an emotional or psychological crisis. This course explains the basic premise of crisis negotiation, types of crisis incidents, and terminology as it relates to crisis negotiation. Students will learn the importance of working as a team and the roles of each team member. Students will learn the fundamental requirements of a unified law enforcement response to a crisis incident, including pre-incident planning, the roles of dispatchers and first responders, containment, security, and risk management. Effective communication as a core competency will address the Behavioral Influence Stairway Model, Active Listening Skills (ALS), and the role of rapport and influence as it relates to crisis negotiation. At the heart of a well-managed incident is well-managed information and intelligence. Students will learn how to gather, manage and apply crisis intelligence and information as well as maintain legally sufficient incident documents. Theory and strategy as it relates to crisis negotiation will be explained in depth, including effective negotiator introductions, intervention techniques, bargaining, demands and deadlines, managing the non-responsive subject, using third-party intermediaries and managing an effective resolution. Many crisis incidents involve suicidal ideations and intent. Students will learn how to recognize suicidal indicators, assess the immediacy of suicidal intent and apply suicide intervention techniques. Persons involved in an emotional or psychological crisis often present law enforcement with some of the most difficult incidents to resolve. Students will gain a fundamental understanding of emotional and psychological issues as well as specific communication techniques. Students will also participate as a team in well-developed practical exercises that reinforce concepts presented during lecture. After each practical exercise, students will participate in a facilitator-led operational debriefing. Crisis/Hostage Negotiation Level 1 is a 5-day (40 hour) course. This course meets most state, Department of Defense, and federal training requirements for crisis-hostage negotiator certification, is trained in accordance with guidelines established by the National Council of Negotiation Associations. CEH: 18-hours Technical Skill; 8-hours Interpersonal Perspectives; & 14-hours Skill Development.